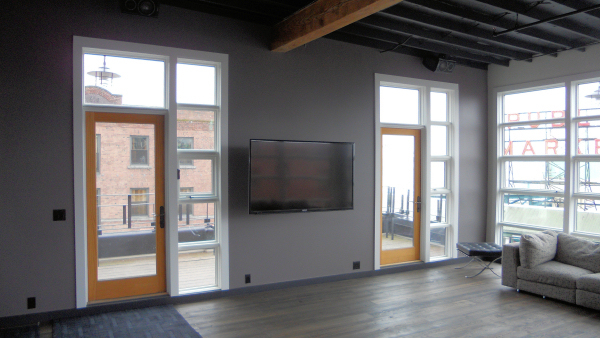 Theater Design Northwest was chosen as the AV contractor for this gorgeous condo makeover project that overlooks Pike Place Market in downtown Seattle. 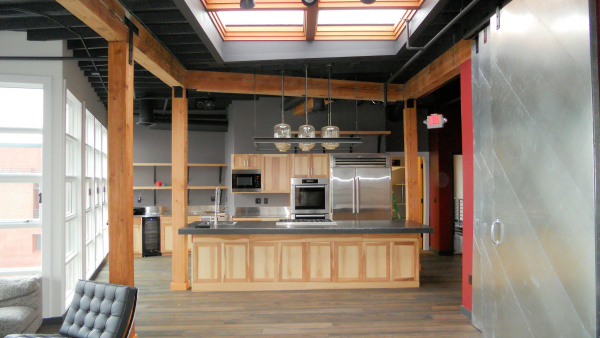 Formerly an architect’s office space, this ground up renovation managed by the owner’s firm will be available for stays for those who want the best accommodations when they’re in town. Ease of operation with high audio and video quality were necessities. Rather than opt for a traditional surround or complex multi-zone system, they requested a design with speaker pairs in every room that are carefully balanced to play all at once in high end multichannel stereo. The end result was a virtually invisible system with excellent, dynamic, high end audio coupled with clear, cinema like ISF certified picure quality that met the client’s needs perfectly.